Monsignor Daniel Beechinor, on a visit to Bathurst, called at Perthville, NSW, and asked for a community of Sisters for Tasmania. Bishop Joseph Byrne chose five sisters – Sisters M Francis McCarthy (Ireland) 37, M Patrick Nolan (Ireland) 60, M Joseph Eather (New South Wales) 27, M Stanislaus Doyle (Ireland) 25 and M Teresa Prendergast (Victoria) 21. This intrepid little group departed for Westbury, Tasmania, to form a foundation, under the leadership of Sister M Francis. En route, the Sisters stayed at the Mount Street Convent where Mother Mary MacKillop showed them loving hospitality and encouraged them in their new mission far afield across Bass Strait. When the Sisters arrived at Launceston on 22 May, 1887, they were met by the Presentation Sisters with whom they stayed. Two days later on 24 May the five Sisters travelled to Westbury by a horse drawn vehicle. Their historic arrival at Holy Trinity Church was welcomed with joy by the clergy and many parishioners. 13 years earlier Fr Julian had preached at the opening Mass (and Benediction) of this new blue stone church which nestles in the heart of Westbury. The building of their residence had not been completed so Fr O’Callaghan lived at the local hotel, leaving the Pugin Presbytery for the accommodation of the Sisters. Two weeks later, on 07 June, they moved into their newly constructed Convent in William Street. 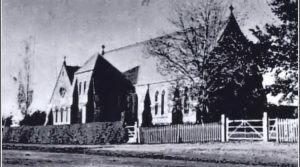 The day following their arrival, 25 May, the Sisters with eight students, opened the first Tasmanian Josephite school in the no-longer-used weatherboard church. The Bishop, Dr D Murphy, Dean D Beechinor, and Father TM O’Callaghan were also present for the first day of school. By October, that same year, the number of students had increased to over one hundred. The school remained a focal point in Westbury until the end of 1971, when its doors closed for the last time. 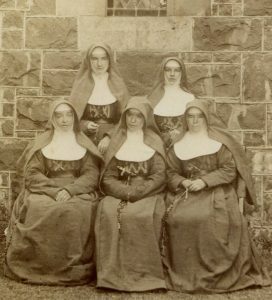 The Sisters were missioned to 25 schools throughout Tasmania between 1887 and 1999. They have also ministered to, and been a Josephite presence in, seven other towns of Tasmania as well as Canberra, Sydney, Melbourne, Penola and Timor-Leste. For 14 years, as one of the five groups of the ANZ Federation of the Sisters of the Joseph, they ministered in Papua New Guinea at Vanimo and Swain. Then, for seven years, taught in the Minor Seminary at Banz. A Juniorate, opened at Newstead in 1938, became a Boarding School for girls from 1951-1984. In 1951-1971, a Junior Boarding School was opened at Rowella. Another ministry, 1946-1958, was a Hostel for working girls in Launceston. 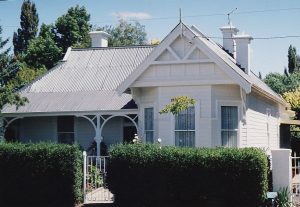 Two Sisters made a foundation at Creswick, Victoria, in 1900. Emmanuel Centre, MacKillop Hill and the Josephite Mission and History Centre are Josephite Spirituality Centres. On 24 May 2012, after 125 years, the Sisters of Saint Joseph, Tasmania, fused with their congregation of origin, the Sisters of Saint Joseph of the Sacred Heart, during a celebratory Mass and moving ritual, in their Tasmanian ‘birthplace’, Westbury.